In 2015, Facebook headhunted Mari to partner with as the company's leading Small Business and Facebook Marketing expert, where she facilitated and taught at the Boost Your Business series of live training events across the United States. Mari's background includes almost two decades in the fields of online, offline and relationship marketing, and Internet technology. As a passionate social media leader since 2007, Mari travels the United States and internationally to provide engaging social media keynotes and in-depth training to entrepreneurs and corporations. Mari often shares prestigious stages with notable leaders and celebrities; previous co-presenters have included Sir Richard Branson, the Dalai Lama, Eckhart Tolle, Tony Robbins, Paula Abdul, Chip Conley, and Arianna Huffington to name a few. Through her training services, Mari teaches businesses and brands to properly monetize their social media efforts, with measurable KPIs from integrating proven social media marketing strategies. After applying Mari's methods, her clients typically achieve significant increases in traffic, subscribers, lead generation and conversion, client growth, affiliates, lucrative strategic alliances and targeted media attention. Mari Smith and her team have mentored countless social media departments and individual social media professionals in a variety of specializations. Plus, tens of thousands of business owners and marketers from around the world have attended Mari's popular social media webinars over the past several years. 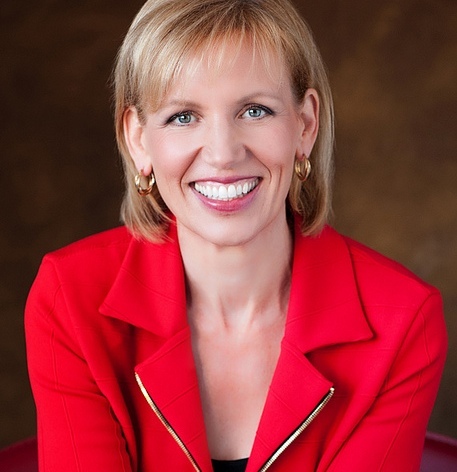 With her popular blog at MariSmith.com, and her large, loyal following on Facebook, Twitter, Instagram, and LinkedIn, Mari is considered one of the top resources and thought leaders in the world of marketing. She regularly appears in media locally and nationally in publications such as The New York Times, The Wall Street Journal, Inc., Forbes, Fortune, Chicago Tribune, and Success Magazine. On a personal note, Mari is Scottish-Canadian; she was born in Ontario, Canada, spent her childhood in a small rural Quaker community in BC, Canada... then lived in Scotland for two decades before moving to San Diego, California in 1999. If you'd like to hire Mari to provide social media marketing training for your business and/or to speak at your next event, please visit this page.